Sometimes I like feeling blue, without really feeling blue…if ya know what I mean. On another note, I can’t believe Thanksgiving is this week. Seriously, where does the time go?! Hope you’re all having a wonderful week so far! Absolutely love this look! The layering is amazing and I love how you style it too! As always love your bag! gorgeous, this color looks greta with your eyes Rach! Great jolt of color your outfit has today. It looks amazing on you. 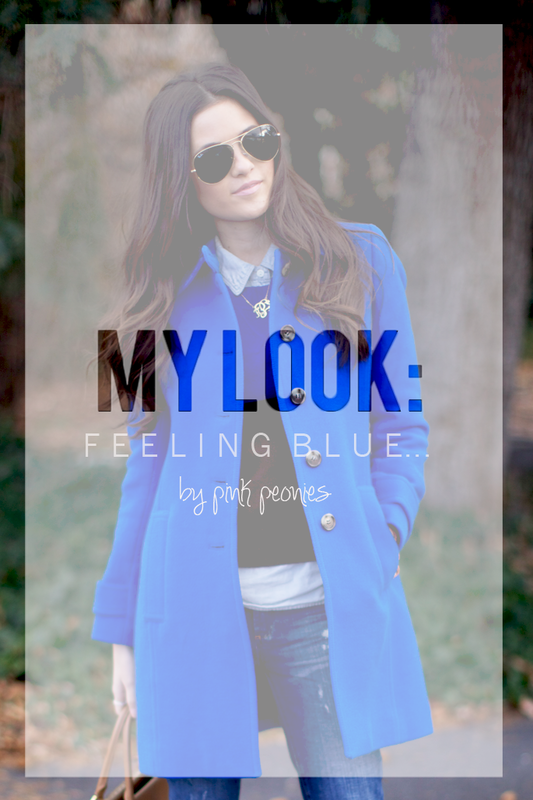 The royal blue is stunning on you! Love the design element on the first picture! You look fabulous. This is one color I do not wear enough of! Thanks for the color inspiration! love this outfit! one of my favorites of yours! Gorgeous coat and love everything about this great casual look! I love love love your coat! Love the outfit and your makeup looks gorg! Fantastic boots and coat! You look gorgeous! I keep seeing more and more of the cobalt blue and frankly, I love it! I’m hoping it’s a color that’s here to stay for a long time. I love how the shoes happen to have the same shade! Love those little booties! Casual and yet amazing! Love this look, perfect from head to toe. For those of us on a student budget I found two pairs of shoes that are similar for less! You look amazing :) I love the whole outfit! Love the coat. The color and the cut are amazing!! i love the watch and bracelet! So obsessed with this brilliant blue coat!! Just ordered it on Saturday and it should be arriving today! Love, love, love that it comes in tall because I’m 5’11” :) Ohhh did I mention its currently on sale! And if you go into the store with a student id you get an extra 15% off! wow, in love with those boots! love that pop of bluse at the back – so unexpected! Love this look! Very chic, yet casual. How do you achieve those loose curls in your hair? ok, i don’t think i can think clearly until those booties are MINE! i LOVE them! and your coat is just beautiful! love love love. I am really liking all the blue! Especially the blue jacket, and the blue zipper on the booties! Love the surprise color in these boots. The whole look is fantastic! Those booties are my favorite that I have seen! Love this beautiful shade of blue on you! Love the color blue. You inspired me to do an all pink look today. Love your outfit. Wow, I’m in love with this look. Your booties are amazing. Great sweater! You always know how to pull a look together! Love the outfit! I’ve been eyeing that sweater at J.Crew forever now but could never really imagine how I’d wear it… this has changed my mind! :) I’ve now an avid follower! LOVE the look, as always. You make feeling blue look extremely beautiful! I absolutely love this outfit. You are always so put together! I think blue is your color. Gorgeous! Like so many of your other readers, I love that cobalt layer under the zipper on your booties! What a fantastic detail. I love this outfit!! the booties are super nice! I’m off to buy those boots! I liked them from the front, but when I saw the back, I was in love. You look beautiful as usual, and I love the photography effects. I’m so in love with this outfit! 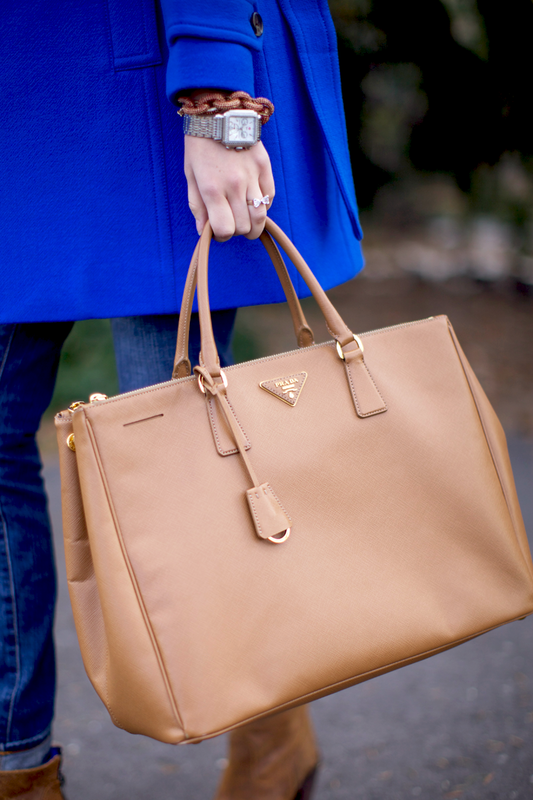 All those blue pieces have me swooning :) I’m especially obsessed with your coat! I love that coat on you, the colors in this outfit are great together! You look SO gorgeous. I love the blue coat, the color is so pretty. Love your cute booties and that sweater is just fab. What a great casual yet chic outfit! Seriously obsessed with those booties! Looking fab as always! Love this blue outfit!!! Especially the blue detailing on the back of your booties!!! Love this look! Those boots are awesome. Love the blue coat too. Such an amazing look! Blue suits you perfectly! the colors are so amazing and bold! You look great! Love this look. Hope you have a wonderful holiday! You look fantastic and fab! Also, those distressed jeans are really speaking to me. Each time I see you wear them, I tell myself I am going to get a pair, haha. Happy Thanksgiving to you and yours! You are too cute Rach! LOVE the blue on you doll! You look amazing! I love the color and the top you are wearing matches perfectly! Those boots are such a fashion statement! Happy TG! Such a cute look! Loving your colorblock sweater and your boots! So fab! 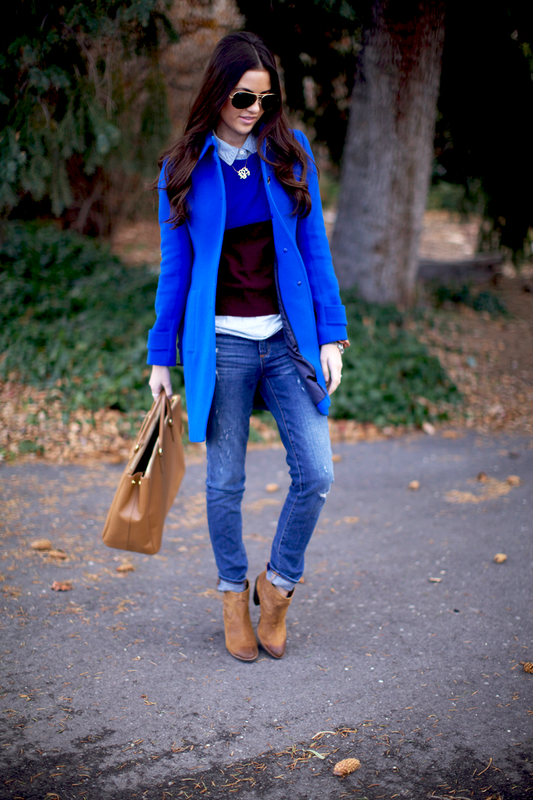 Great fall outfit, blue is a great color on you! 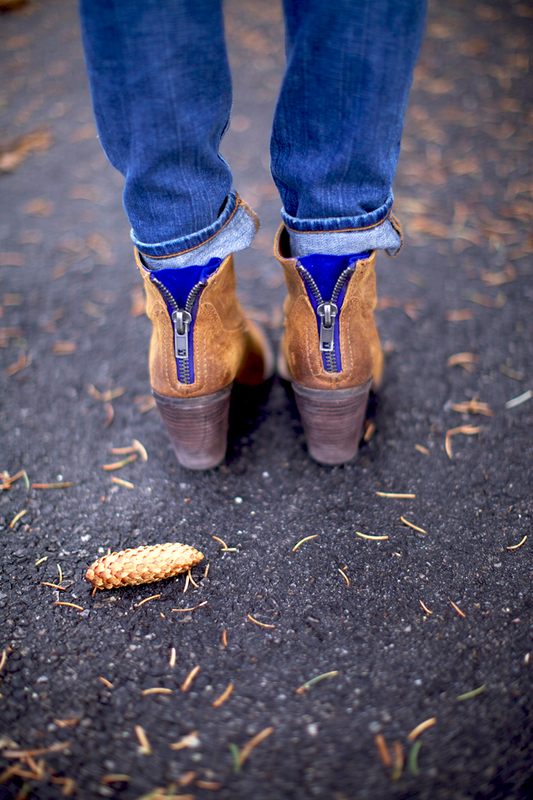 Loooove all of the blue details, especially the blue zippers on your boots! So cute and very pulled together. a. i love your sweater and b. that is one amazing blue jacket! Love that blue color! I have a $50 holiday card giveaway on my blog!Stop by to check it out!! The coat is gorgeous, I love the color! That blue jacket is so chic. And I love that way you layered under it! And the blue detail peeking out from the boots is awesome. Love those boots! You look beautiful! Those DVF booties are to die for! I love the pop of cobalt near the zipper, great find!! I love cobalt blue! Great coat. You are so pretty! We love this royal blue on you! That blue is beautiful you look stunning! you look gorgeous!! i love that sweater and those cute booties too! That blazer is so nice! :) i love that its so bright. Amazing outfit! I love this color of blue on youa nd the boots are amazing. In love with your adorable blue coat. Those boots are SO awesome!! You are always so amazing at layering pieces. Beautiful as always, thanks for the inspiration! Love the electric blue! It looks very pretty with maroon color as well. I can not believe you got the boots with blue inserted. Very cool! Love the Blue coat, suits you well, love your ability to put things together with such flair! Loving the brightness of this cobalt/electric blue in boat and details of boot. Great look. Love this look. Love all the blue. Sometimes I feel like I can’t pull blue off, but you make me want to try it!! I love seeing your casual, everyday looks! I’m also craving that jacket and those boots. Love the sweater and those boots! Great ensemble I love the hues of blues! That color looks amazing on you, and I LOVE your boots!! What a lovely blog you have, you’ve got yourself a new follower from Finland! AMAZING OUTFIT!!! 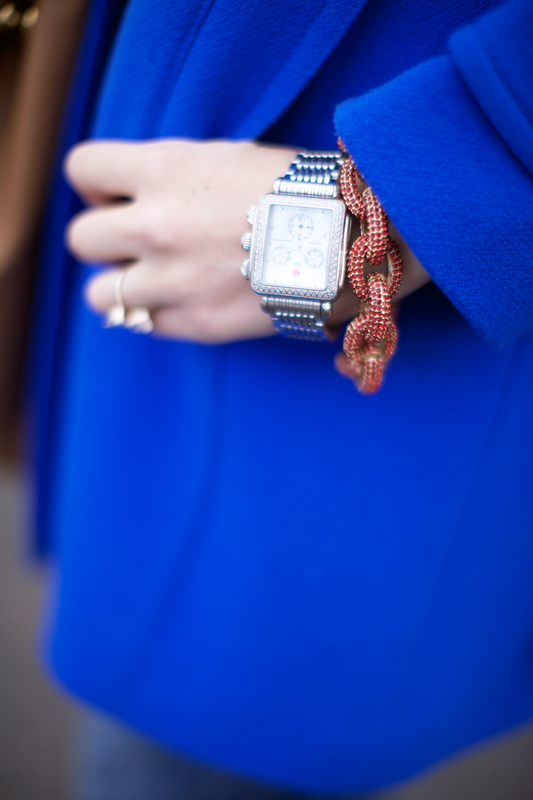 Love the cobalt blue and layering! great styling!